Tourist Information Walk 4 at Bradwell01493 846346work Walking RouteThis walk around Bradwell is a 6 mile (9.66 kilometre) circular walk starting at Green Lane Playing Field in Bradwell near Great Yarmouth. The route passes Hobland Hall and Hobland House and follows a mixture of field paths, unmade tracks and country lanes. There are no public facilities and little shelter along this route. 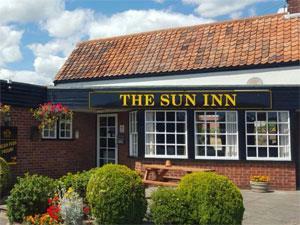 The Sun public house on the Beccles Road makes a good stopping off point for refreshments or lunch. This walk around Bradwell is a 6 mile (9.66 kilometre) circular walk starting at Green Lane Playing Field in Bradwell near Great Yarmouth.